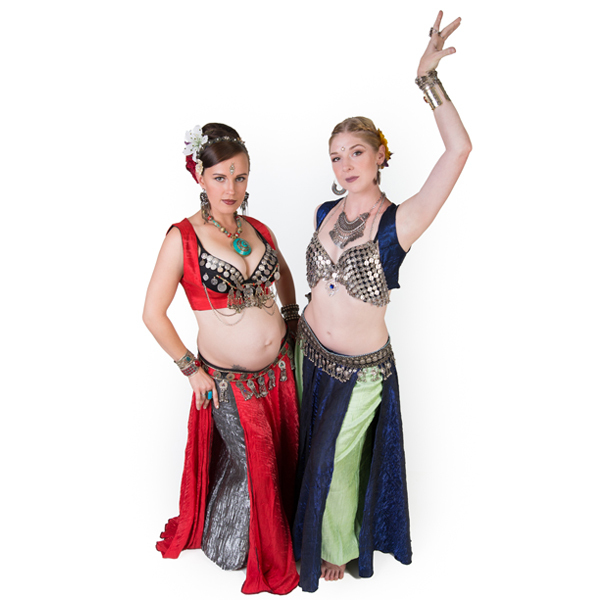 Our Afghani Bra comes lovingly hand-decorated by us with a myriad of authentic coins, metal disks, jewelry pendants and a decadent bellydrape chain. These bras will match anything you want to put with them! 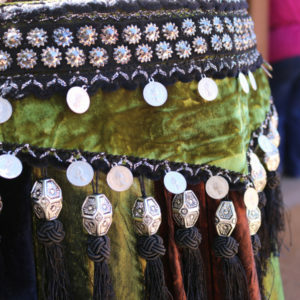 Always black and silver and decorated with authentic coins and jewelry. 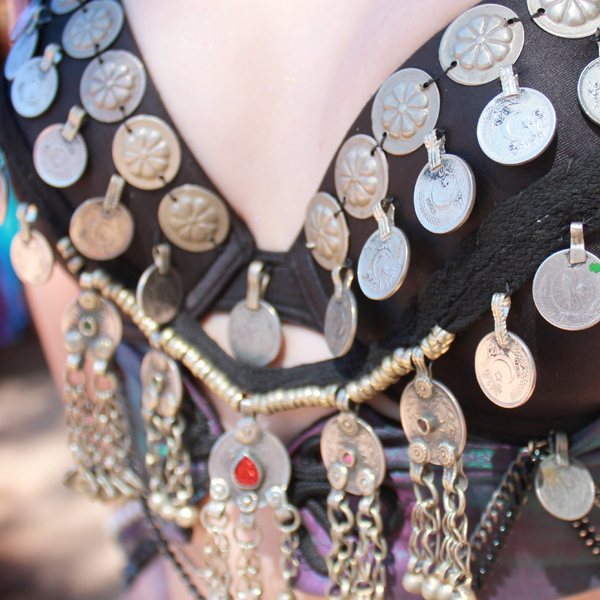 We use high quality bra bases that are superior in fit and can hold up the extra weight of our coin decorations. No cheap or flimsy-quality bras here! Bras can be worn traditional over-the-shoulder (add our Turkish scoop vest to complete your look and cover the straps! 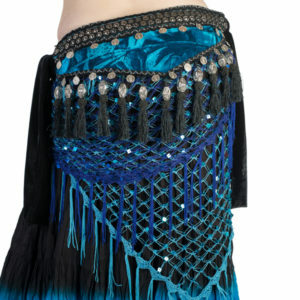 ), or you can easily switch the straps around into a halter style.